What’s Included in the Video Access History for a Single Viewer Login? First, navigate to the ‘Viewer Logins’ page, then select a specific login. 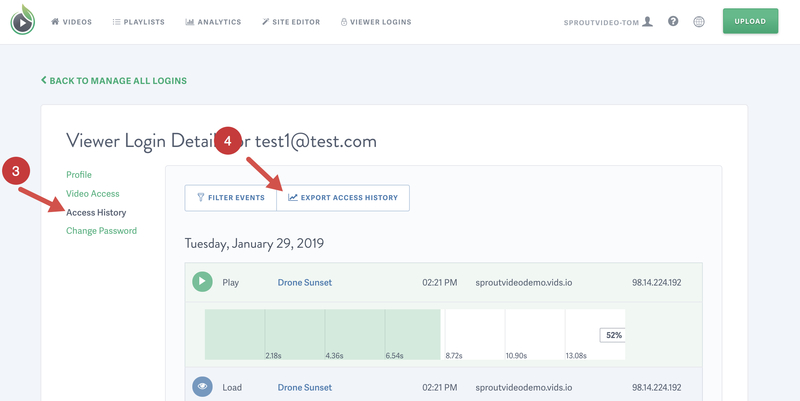 Select ‘Access History’ on the left side of the page. Once on the Access History page select the ‘Export Access History’ button. Once the report is compiled, you’ll receive an email containing a link to download the report.